All the food these creatures cooked would necessarily have been smoked as well: Once a gazelle haunch is sizzling over your Palaeolithic Aga, your species can spend less time digesting and more on developing its brain. Cooked meat takes longer to spoil, heavily smoked meat longer still. So smoking was undoubtedly one of the most important things humans ever learnt to do: Its discovery spearheaded the great spear-carrying meander across the planet. It cemented the bonding of tribes and the spurts of civilisations. There's special providence in the clouds of the barbie. Meat was probably the first smoked food, but fish can't have been far behind. Sumerian tribes were smoking fish on a decent scale by 3,500BC, and food writer Alan Davidson believed the Chinese might have been doing so concurrently. Fish-smoking had spread to Ireland by 2,000BC, a place that didn't discover salting for another 1,500 years. The peoples of the north turned smoking fish into a vital defence against winter. In the famine-prone 1300s, a bad herring catch could spell death on a terrifying scale in Germany, the Netherlands and the British Isles. The Scots and Norwegians became expert smokers of salmon, the Russians of sturgeon, and the Japanese of eel and skipjack tuna. Smoked fish was our equivalent of Basque and Mediterranean salt cod, still a favourite of Iberians and the lands, such as Brazil, they settled. There are two main ways to smoke food, hot and cold. In the former you suspend raw food over a crackling flame and a healthy puff, and let it cook. Barbecuing is a primitive method of hot-smoking. Cold-smoking maintains the food's temperature at about that of a warm room, so the food stays "raw" but improves in flavour and sanitation. Cold-smoking is also more pleasurable to do at home. 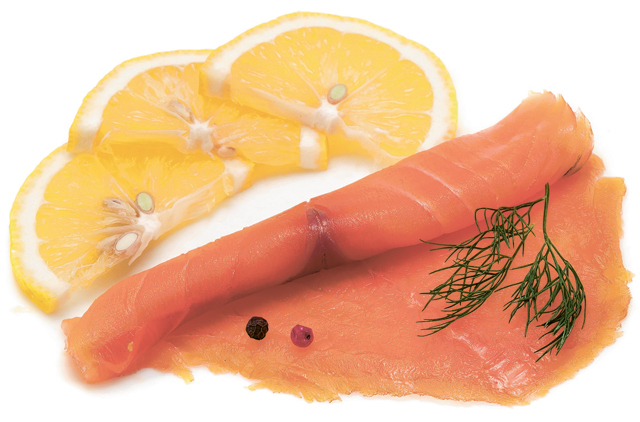 Neither style is "better", of course: Cold-smoked salmon has a firm, inviting freshness, just as a pâté of hot-smoked trout is delightful. The basic technique for smoking has barely changed in 1,000 years. First you brine the meat or fish for a few hours or days so it picks up some salt, then you dry it and stick it in the smoker. Cold-smoking is a long process: Salmon cold-smoked for a few days is chewier, longer-lasting and closer to the oldest smoked foods. In Europe, alder or oak are the best woods for smoking; in America they often use hickory; and in Iceland they smoke sheep bits over the beasts' own dung. There are concerns about some of the chemical compounds the smoking process imparts, but the risks need to be kept in perspective. Fish and meat are, of course, the kings of the smokery, but through history humans have smoked pretty much anything edible. Caciocavallo cheese from Sicily may be descended from a Roman ancestor, and black-smoked apricots were a speciality of the Hubei province of eastern China around AD700. Nuts, eggs and vegetables have also been smoked. A whole side of smoked salmon is an utter revelation after the greasy slices of the supermarket, and I have a special fondness for kippers and bloaters, for pastrami, brisket and the yielding firmness of unagi.